The curved panels and attractive patterns make this aluminium radiator irresistible to the touch and pleasing to the eye. Affordable designer elegance at your fingertips. One of the Aeon Aluminium range. 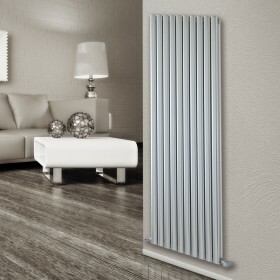 Aeon Visage Radiator - lowest UK price with free delivery, (* See terms ) Aeon accredited retailer. Aeon designer radiators. The curved panels and attractive patterns make this aluminium radiator irresistible to the touch and..